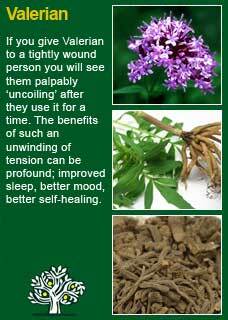 There are many poisonous herbs that people have learned how to use as medicines. 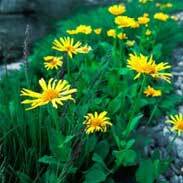 In olden times Arnica was used extensively for people with heart weaknesses. Swiss mountain folk, to ease sore and aching limbs, knew how to chew a small amount of Arnica leaf to ease their pain. 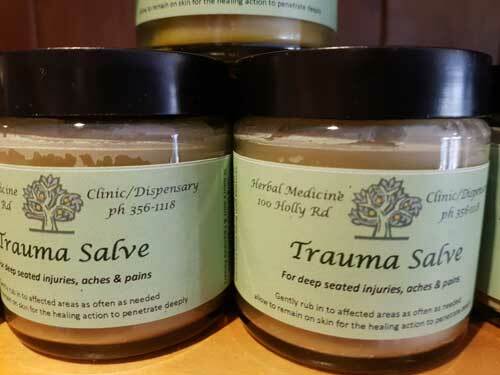 Arnica has also been widely used as an external treatment to reduce pain and swelling in bruises and traumas and this is almost exclusively how it is still used today. Rudolph Weiss M.D writes 'Arnica is certainly one of the major medicinal plants, the comprehensive effects of which are not even properly appreciated in phytotherapy. The Commission E recommended it only for a number of topical indications (e.g. traumatic oedema, hematoma, dislocation, contusion) and for rheumatic myositis conditions in which Arnica is definitely able to achieve outstanding therapeutic results. Internal use, especially in indications such as coronary heart disease and for acute treatment of angina pectoris (which Goethe highly recommended) is not even mentioned in the Commission E monographs. One reason for this is that the commission completely over-rated the hypersensitivity of isolated patients to Arnica. Allergic reactions are generally common for Compositae plants but they are by no means a sufficient justification for contra-indication. This is especially true for Arnica, particularly when administered in very high doses since a variety of dose-dependent toxic effects ranging from dizziness, trembling, tachycardia and arrhythmia to collapse can occur. Arnica should, of course be very cautiously dosed or replaced with another drug in patients with known composite allergies. In the majority of cases, however, Arnica is extremely well tolerated when administered internally. We prescribe the drug very frequently, have never had a single case of acute adverse effects and have only heard reports of such effects in isolated cases. Anginal complaints are the most important indication for Arnica. Although Arnica can improve coronary circulation in much the same way as Hawthorn it is significantly different from Hawthorn. One of the most pronounced differences is Arnica's rapid-onset stimulatory effect. 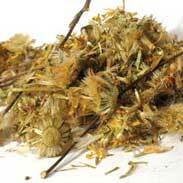 Arnica is therefore preferred for treatment of acute cardiac debility and angina pectoris. 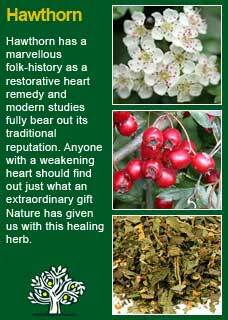 Hawthorn, on the other hand, is better suited for long-term treatment of coronary heart disease. This is also the case in the aging heart without manifest heart muscle insufficiency. 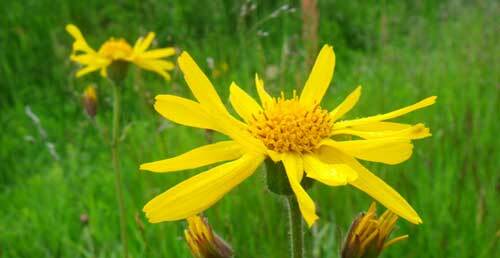 Arnica can be considered for short-term relief of debility. Hawthorn should be used, however, if the objective of treatment is to relieve milder symptoms or to achieve a preventive effect. Weiss goes on to recommend doses of 5-10 drops of the tincture, or one cup of hot water over 2 tsps. of the flowers, steeped for 10 minutes and sipped slowly twice a day. For acute angina, he recommends 50 drops of Arnica tincture in a glass of lukewarm water, the solution sipped slowly over 15 minutes. He also says that good results can be obtained using a warm, wet Arnica compress over the heart region. H Felter, recommending doses of up to 10 drops of the concentrated tincture, writes 'Arnica is a greatly unappreciated medicine. It has a pronounced action upon the medulla and spinal cord which can be invoked to good advantage in states of depression. The keynote for arnica is spinal and vagal nerve enervation (a feeling of being drained of energy or vitality; fatigue) It should be brought into service when there is deficient nervous response, sluggish vascular power, and in almost all conditions in which prevails the triad of torpor, debility, and depressed function. In the advanced stages of exhausting diseases, where spinal innervation is poor, control over the sphincters lost, and there is feeble respiration due to central vagal impairment, it is a most important stimulant. It should be used when breathing can be carried on chiefly only by force of the will, and becomes weak and shallow when the patient drops into sleep; or when the sleeper awakens with a start on account of dyspnoea when automatic respiratory action alone is depended upon. Such a state occurs in the low stage of typhoid and other fevers, and in lobar pneumonia. In such conditions, Arnica is most useful and compares well with strychnine or atropine, or phosphorus, none of which are so safe as Arnica. Arnica will prove useful in the depression occasioned by extreme forms of diarrhoea and dysentery when the discharges escape control. In so-called typhoid pneumonia—which is but pneumonia with typhoid conditions— marked asthenia, feeble circulation, great depression, low muttering delirium, picking at the bed clothes, and dry tongue loaded with foul mucus, it is a most valuable treatment. Arnica is a stimulant of great power in anemia, with weak heart and capillary feebleness, and marked depression, diarrhoea and dropsy, but no inflammation. During mild forms of so-called chronic rheumatism, with cold skin and general debility it will stimulate the nervous system, restore normal warmth, re-establish restrained secretion, and thus relieve pain. In painful, bruised or subacute inflammatory disorders arising from injury, with marked lowering of nerve tone, muscular aching and chilly sensations, arnica is a remedy of power to give comfort and hasten resolution. When myalgia is caused by exposure, or when muscular soreness and pain are due to strain, overexertion, or sudden jars or blows, the administration of Arnica internally, in small doses of the specific medicine preferably, and the diluted tincture applied locally are among the most serviceable of measures. 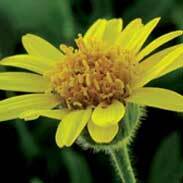 Arnica frequently relieves “heart-strain” due to exertion, overwork, or from long marching. It also benefits in the heart debility that follows severe strain, worry, or excitement. Dull aching pain in the praecordia (the area of the chest in front of and below the heart) due to lifting or when working against vibrating machinery, as in shoe making, is dissipated by small doses of Arnica. Externally, Arnica must be used with care and a watchful eye if the skin is broken as it may provoke a rash that resembles an allergic reaction. 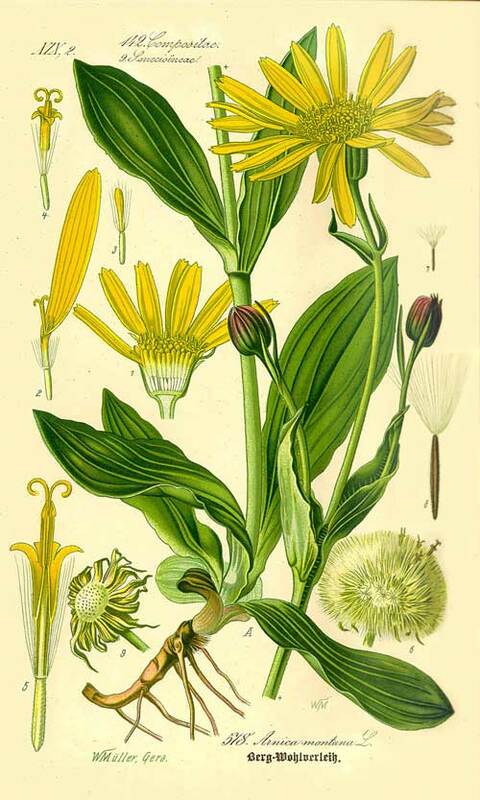 Most herbal texts will strongly state that Arnica is a poisonous herb that must not be taken internally. I do not think that Arnica should be used to self-medicate and would strongly warn anyone against experimenting with this herb without the greatest of care but, to any herbalists or students of herbalism who are reading this, I will say that I disagree with this black and white prohibition and I say that, like our herbal forebears from many generations until now, we owe our understanding on how to use it safely to our patients who may suffer terribly from such awful symptoms as acute heart pain but who are unable, or for their own reasons unwilling, to take pharmaceutical drugs. Whilst it is an expensive herb, and so must be used economically, I've also followed the practice of recommending a few Arnica flowers, along with such herbs as Chamomile or Rosemary, to be placed into the bath for people who are suffering terribly from general aches and pains and have seen that this has also given a great deal of fast relief. Arnica is a powerful herb that must be treated with great respect, after all it can be a lethal poison if used to excess but, knowing this, I will very carefully use Arnica internally in small and safe amounts when needed. In this way, I have personally been able to see that Arnica really is a remarkably powerful heart remedy which has given some tremendous and much needed benefits to some very ill people indeed. If you who are reading this are studying herbal medicine or you have your own reasons for why you need to know this potent herbal ally in more depth then I warmly encourage you to turn to the great laboratory of your own body and take some very small doses of the tea or tincture, just a sip of tea, just 1 or 2 drops of the tincture, just to the level that you can feel its 'action' i.e. 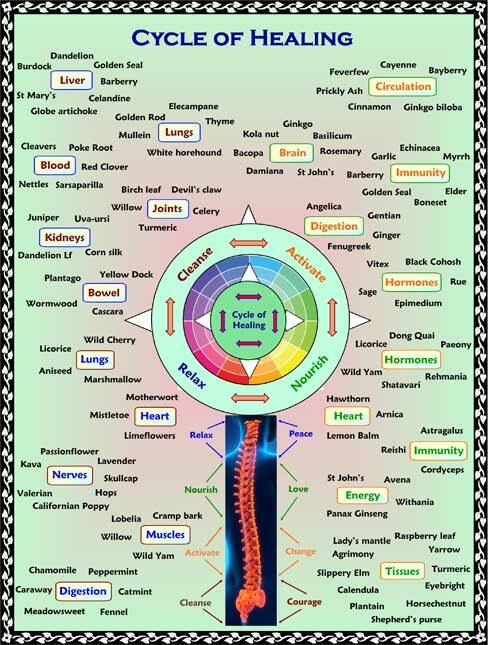 the way the herb actually works within the body. So long as you do this with a quiet and open mind I think you will soon feel for yourself how, within a very short time frame, it causes a change in the state of the nerves. Speaking for myself, I can say that it quickly slows down my heart-beat and gives me a feeling of deep visceral relaxation, plus I note how it opens up my blood vessels and gives me a most pleasant feeling of warmth and a welcome and gentle quietening of my mind. I think that when the direct and quite immediate potency of a remedy is felt in such a way for yourself then fear gives way to understanding. Once it has been experienced directly then one does not need to be warned to treat it with great respect and care, but you may also feel how it may be exactly what can be needed by someone who is in the acute crisis of an inadequate circulation of blood to their heart. Any herbalist or student who would ever think of giving Arnica internally to another must surely take their own medicine first. Learn how strong it is (different preparations will have different ranges of action and safety) and know how to give it to others safely. For our own tincture that we make in our clinic, a 1:5 in 40% ethanol, I will typically give doses that will give the patient between 5 and 15 drops at a time. No more than 40 mls over the course of a month in doses that are taken twice a day. Often, less is more in herbal medicine, for treating a person for whom the primary indication for Arnica is that they are suffering from emotional wounds to their heart, a loss of trust, a betrayal, just small drop doses, combined with such herbs as Hawthorn, Motherwort and Lemon Balm, can work as a potent catalyst to help open the heart to the healing that is necessary to move on and let go the hurts of the past. A very small and careful dose of Arnica may combine perfectly with generous quantities of Hawthorn for a weakened and struggling heart or perhaps with Valerian for someone who has become agitated and afraid. Much of the information here about the traditional uses of Arnica is consistent with the model of thinking whereby one may treat problem A with plant B. There is value in this approach, especially in how it helps us pass on useful knowledge to one another, but it falls short in one vital area; and that is that people are not all cut from the same cloth! Something that works brilliantly for one person may do less for another -- why is this?